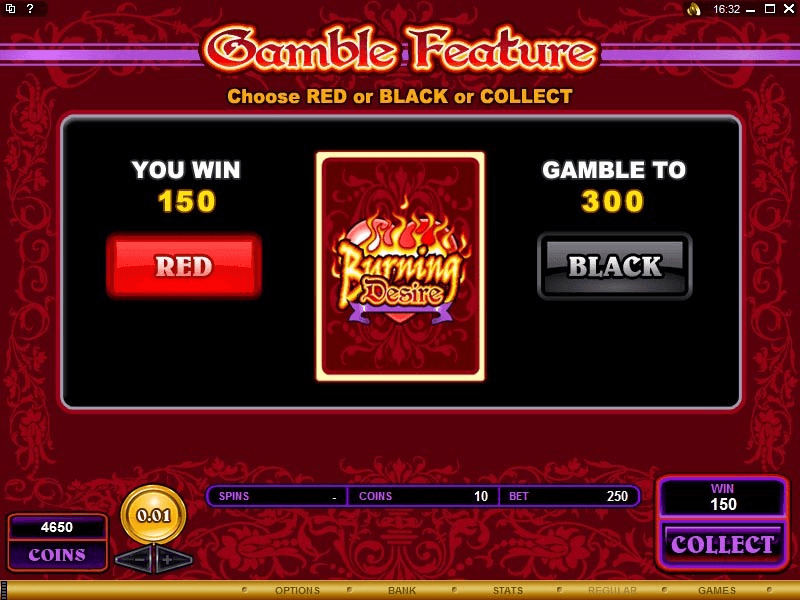 Burning Desire is a classic video game from Microgaming that is bound to seduce players with its retro appeal, awesome soundtrack and a 243 ‘Ways to Win’ format replacing traditional pay-lines. Unlock 15 free spins by landing three flaming Microgaming coins as you play the latest online UK slots today. As well as the classic graphics, music fans will pick up on the killer soundtrack - Burning Desire by the glamorous singer-songwriter Lana Del Ray which plays during the base game and bonus round. You can deposit at our casino to play slot games right away! Instead of traditional pay-lines, Burning Desire has based its gameplay on the 243 ‘Ways to Win’ system which means that any adjacent symbols at any position on reels 1-5 result in a win - a total of 243 ways to win! Here's a helpful guide on games with bonus features when you click here. Because of the relative simplicity of Burning Desire’s layout, it is well-known as an extremely reliable game that runs seamlessly on all browsers and mobile devices. 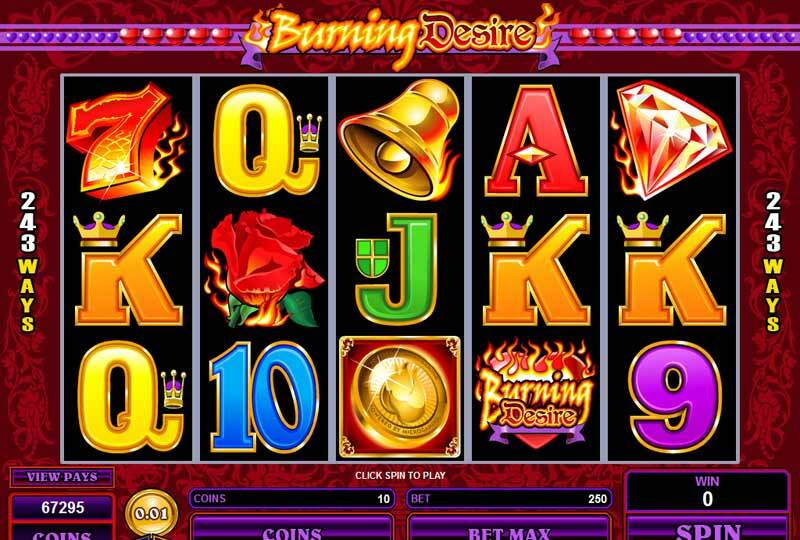 The seductive appeal of Burning Desire online slot lies in its simplicity. By coupling retro graphics with a killer soundtrack from Lana Del Ray, this is a game that gets you straight into the action. That said, don’t let the simple layout fool you. Instead of pay-lines, any adjacent symbols result in a win (there are 243 ways to win in total). Unlocking the free spin bonus game which could break your heart or break the slot’s bank with 15 free spins, each benefitting from a x3 multiplier. Give in to your Burning Desire… you know you want to. If you liked Burning Desire you might also like Jungle Jim El Dorado Slots game.